Hello, I've just purchased a 2008 SRX for my wife and all 4 of the dash vents are broken. Can anyone tell me were I can pick up these vents, or can the directional buttons be replaced? I've been looking for days and cant find them anywhere. The vent parts aren't sold individually, they are only available as part of larger components. 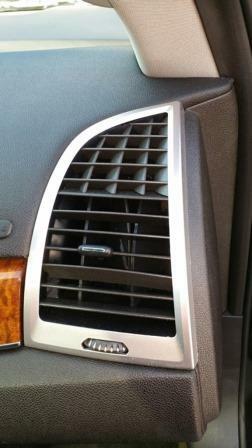 The two vents above the radio come as a unit is $132, the driver and passenger side vents are $40 each. These are internet prices, if you buy these at a dealer expect to pay full list which is 50% more. You can probably buy them used even cheaper. fishfool.....I'd first be inclined to point out the broken vents to the dealer. I would agree with PJ. Letting the dealer know about the broken vents would be a good idea for you. If you are looking for the parts yourself you could also speak with the dealership's parts department as well. If that doesn't work for you I would then suggest www.gmpartsdirect.com. I hope these suggestions help you. Thank you all for your replies and quick response. I finally received info from the dealer and they have replaced the vents. Parrisk and Parrisk like this. These vents must be horribly fragile! Both of my center vents have been replaced... and over this weekend my drivers side vent broke. The little tab you use to change direction comes off of the clip that moves the vanes. Once it comes off - it can not be put back on. I think it is the kids working in the car wash smacking the vents too hard while wiping down the dash. I say this because I rarely move the vents, and when I do, I am pretty gentle. Bummer :: Now I have to make yet another visit to the dealership. Sorry to hear you have to go back in for service. If you continue to have issues like this or have any questions feel free to contact me. I know this thread is a few years old but I thought I would post anyway. 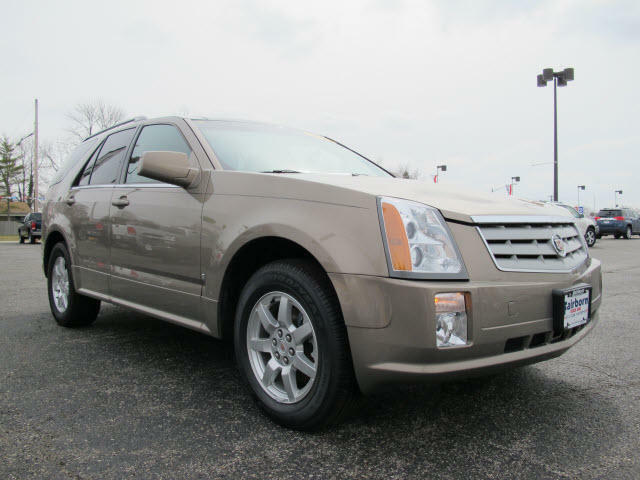 We bought a 2007 SRX in October 2014. The passenger side vent was broken when we bought it. One of the center vents (LH Side) broke on me today. Looking at the GMPartsDirect website they are called air deflectors, and the center set of deflectors are one unit like you said. However, both the left and the right deflectors have two options "first design" or "second design". Any way to tell which I need? Pic would help which one u have, please add V6 or V8 for future reference to your profile. Was it covered under "warranty"? Just bought an '08. Didn't notice both vents broken. Dealer said nope with a chuckle two days later. (Oak Lawn, Cicero Ave. south) Service wants about $300 parts and labor. OEM parts available on-line for about $85. Can anyone tell me how to remove the deflector and replace it with a new one? For the side vents, pop off the end trim plates then release tabs of grill w/ a small flat bladed tool. For center, pop off trim panel around console, starting at rear, then screws for grill. ukmat71, ukmat71, SgtJimmy009 and 1 others like this.